The Breitling Watch Source Forums • View topic - Is this a strap fake? Is this a strap fake? Post subject: Is this a strap fake? 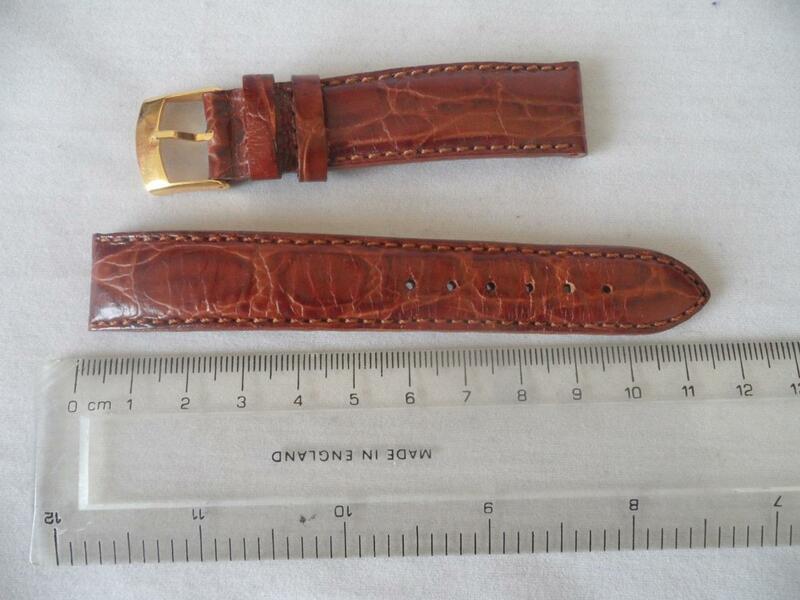 I am hoping the forum can help me establish whether or not this strap is a fake. It came as a gift from what I consider reliable source as a part of the reward for sorting out the assessment and repair of a group of vintage watches including a Breguet, a Piaget and a several Omegas. My personal interest is in Jaegers and Rados so I'm a bit out of my comfort zone. The strap is signed Breitling and "cocco calf" and it has an aftermarket gold plated buckle which was just on it to allow it to be used. In addition the term "cocco calf" is used by Prada and Versace to dscribe some of their leather goods. A Breitling dealer on Ebay with solid feedback is convinced it is a fake, given it's source I'm not completely convinced by his opinion but as responsible seller myself I don't want to be selling anything fake. So can the forum help resolve this for me? Post subject: Re: Is this a strap fake?